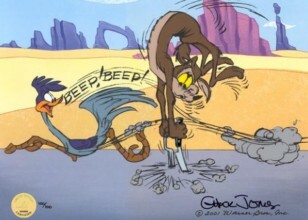 Chuck Jones had a career spanning over 60 years. 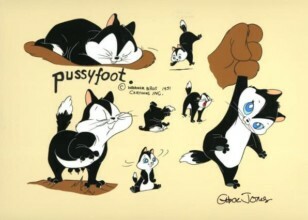 Jones made more than 300 animated films, winning three Oscars as director and in 1996 an honorary Oscar for Lifetime Achievement. Among the many awards and recognitions, one of those most valued was the honorary life membership from the Directors Guild of America. 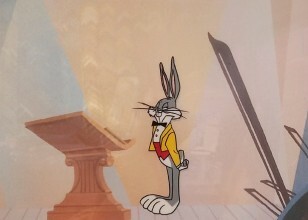 During the Golden Age of animation Jones helped bring to life many of Warner Bros. most famous characters—Bugs Bunny, Daffy Duck, Elmer Fudd and Porky Pig. 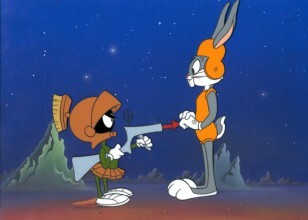 The list of characters he created himself includes Road Runner, Wile E. Coyote, Marvin Martian, Pepe le Pew, Michigan J. Frog and many others. He also produced, directed and wrote the screenplays for “Dr. 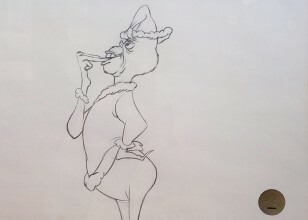 Seuss’ How the Grinch Stole Christmas,” a television classic, as well as the feature-length film “The Phantom Tollbooth.” In addition, Jones was a prolific artist whose work has been exhibited at galleries and museums worldwide. 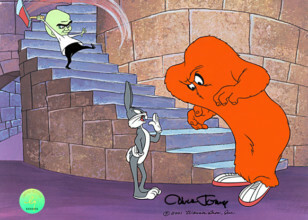 Jones often recalled a small child who, when told that Jones drew Bugs Bunny, replied: “He doesn’t draw Bugs Bunny. 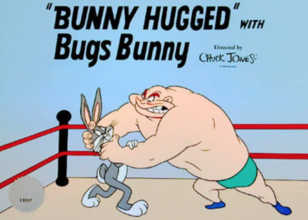 He draws pictures of Bugs Bunny.” His point was that the child thought of the character as being alive and believable, which was, in Jones’ belief, the key to true character animation. Born on September 21, 1912 in Spokane, Washington, Jones grew up in Hollywood where he observed the talents of Charlie Chaplin and Buster Keaton and worked occasionally as a child extra in Mac Sennett comedies. After graduating from Chouinard Art Institute in Los Angeles (now California Institute of the Arts) Jones drew pencil portraits for a dollar a piece on Olvera Street. 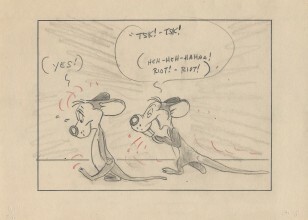 Then, in 1932, he got his first job in the fledgling animation industry as a cel washer for former Disney animator, Ubbe Iwerks. It was at Iwerks Productions that he met Dorothy Webster, to whom he was married in 1932. 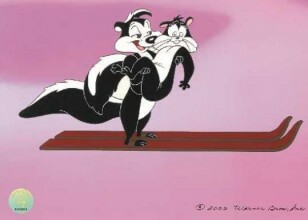 In 1936 Jones was hired by Friz Freleng as an animator for the Leon Schlesinger Studio (later sold to Warner Bros.). 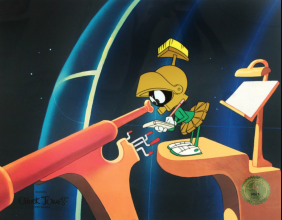 Jones admired and revered Freleng for the rest of his life, saying, “No one except Tex Avery had as perfect a sense of timing as did Friz Freleng.” In 1937 his daughter, Linda, was born, and in 1938 he directed his first film, The Night Watchman. 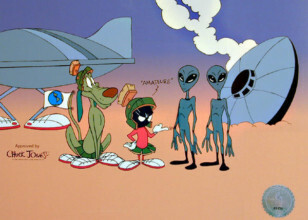 He worked with and for directors Tex Avery and Bob Clampett until the early forties when they left the studio, and for the remainder of his years at Warner Bros. he worked in parallel with directors Friz Freleng and Robert McKimson. He remained at Warner Bros. until the studio was closed in 1962. 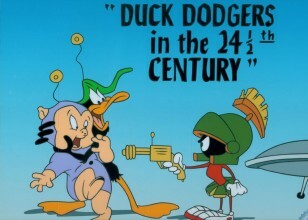 During those years, sometimes referred to later as the Golden Years of Warner Bros. animation, arguably some of the most enduring cartoons ever made were produced; most of them still enjoying worldwide recognition daily. 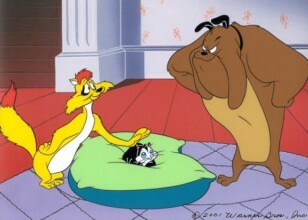 When Warner Bros. closed, and after a very short stay at the Disney Studios, Jones moved to MGM Studios, where he created new episodes from the Tom and Jerry cartoon series. 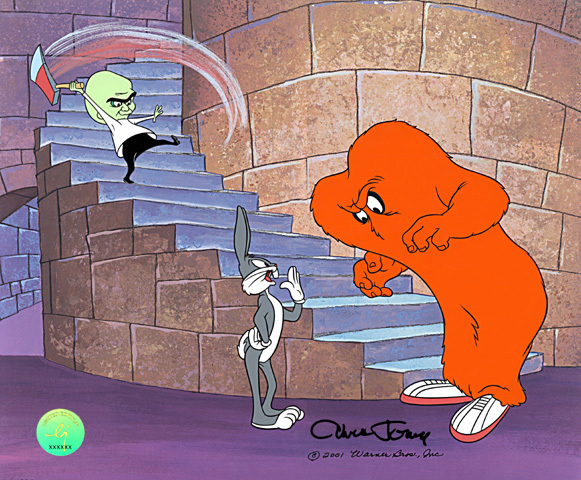 While there, in addition to The Phantom Tollbooth and Dr. Seuss’ How the Grinch Stole Christmas, Jones directed the Academy Award-winning film, The Dot and the Line. 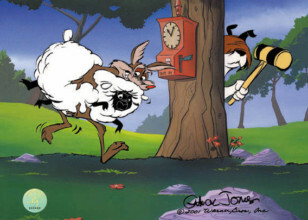 Jones established his own production company, Chuck Jones Enterprises, in 1962 and produced nine half-hour animated films for television including Rudyard Kipling’s Rikki Tikki Tavi, Mowgli’s Brothers, and The White Seal. After the death of his first wife, Jones met and married the love of his life, Marian Dern, who remained his best friend, lover and companion for the rest of his life. 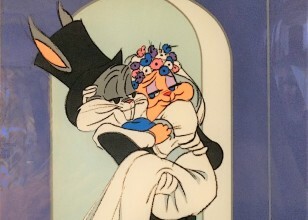 In the late 70s Jones and his daughter, Linda, pioneered a continuing art business featuring limited edition images created by Jones depicting scenes from his most enduring cartoons. He continued to support his daughter’s business, generously making appearances, drawings, and paintings, in addition to signing countless editions of images, which continue to delight collectors and fans worldwide. 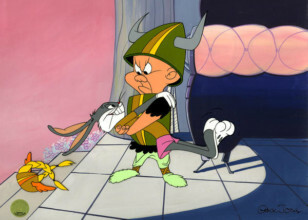 One of his films, the Wagnerian mini epic, What’s Opera, Doc? was inducted into the National Film Registry for being “among the most culturally, historically, and aesthetically significant films of our time.” In recent years, Jones’ work has been honored at film festivals and museums throughout the world, including a one-man retrospective at the Museum of Modern Art in New York City. 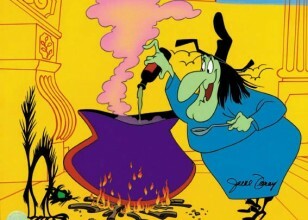 His autobiography, Chuck Amuck, appeared in 1989, now in its fifth printing. 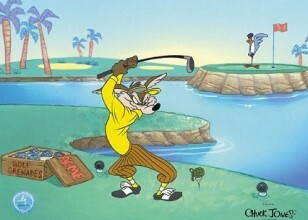 Chuck Reducks: Drawing From the Fun Side of Life, his follow-up to the first book, was published in 1996. 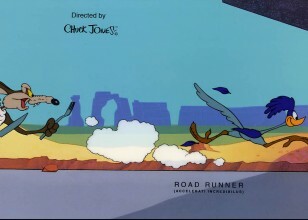 In 2000, Jones established the Chuck Jones Foundation [now the Chuck Jones Center for Creativity], designed to recognize, support and inspire continued excellence in art and the art of classic character animation. The Center’s vision is to inspire the innate creative genius within each person that leads to a more joyous, passionate, and harmonious life and world. 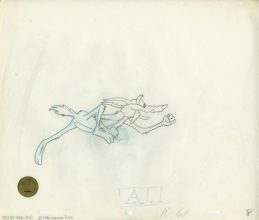 The Center for Creativity is dedicated to re-invigorating the creative spirit through art classes, exhibitions, lectures, and film festivals, all of which spring from the material in the Chuck Jones archive. Jones was a determined saver and his writings, art, and other ephemera from a nine-decade life, along with his philosophy of guiding and nurturing instruction, form the basis of the programs offered. 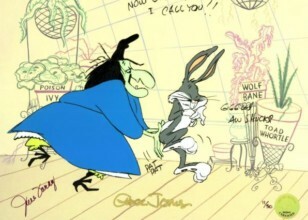 Director Peter Bogdanovich once explained the enduring appeal of Jones’ work: “It remains, like all good fables and only the best art, both timeless and universal.” ChuckJones died at the age of 89 in February 2002, but he leaves a legacy of brilliance, comedy, joy, color, and laughter that will live on forever.